Ireland runs in my veins – quite literally, considering that my ancestry is 25% Irish. I've been to the country a handful of times, and even celebrated a birthday once in Dublin. But, up until this summer, one major item on my Ireland bucket list remained unchecked: going on an Irish road trip. Along with believing that Ireland is the perfect destination for a family vacation, I also think that Ireland is a great destination for a road trip. It's a relatively small country with short driving times, and there are interesting things to see and do around every bend. I finally got the chance to take my dream Ireland road trip this summer with my mom and sister. And, while the tiny roads did make me nervous at times, I absolutely loved the overall experience and highly recommend it as the best way to explore Ireland. 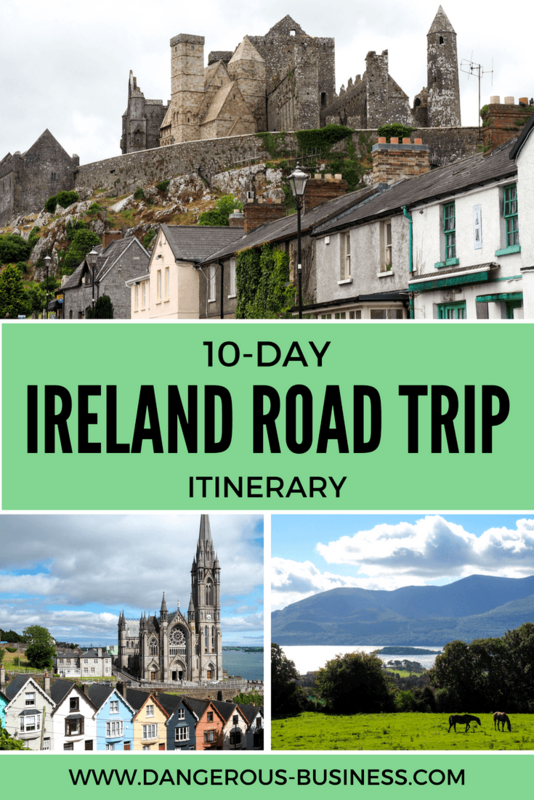 If you're thinking that you might want to plan an Ireland road trip of your own, here's a great 10-day itinerary you can feel free to steal! 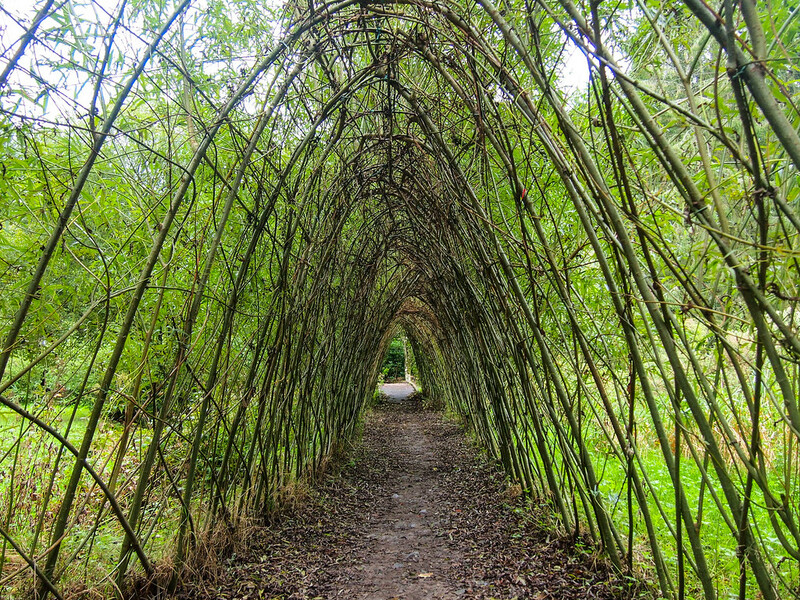 This itinerary hits up a lot of the highlights on the Emerald Isle, but also includes some cool spots that you may not have heard of before. 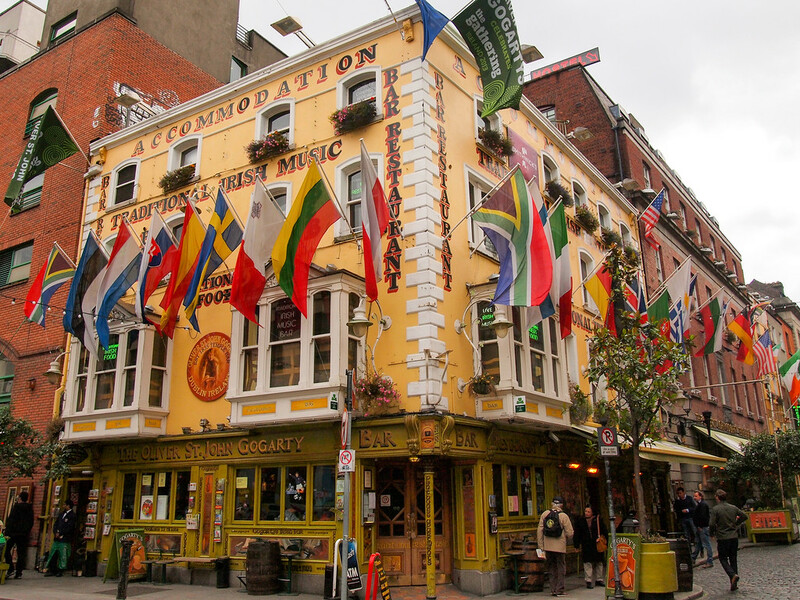 The best place to start your Ireland adventure is in Dublin, the country's capital and largest city. 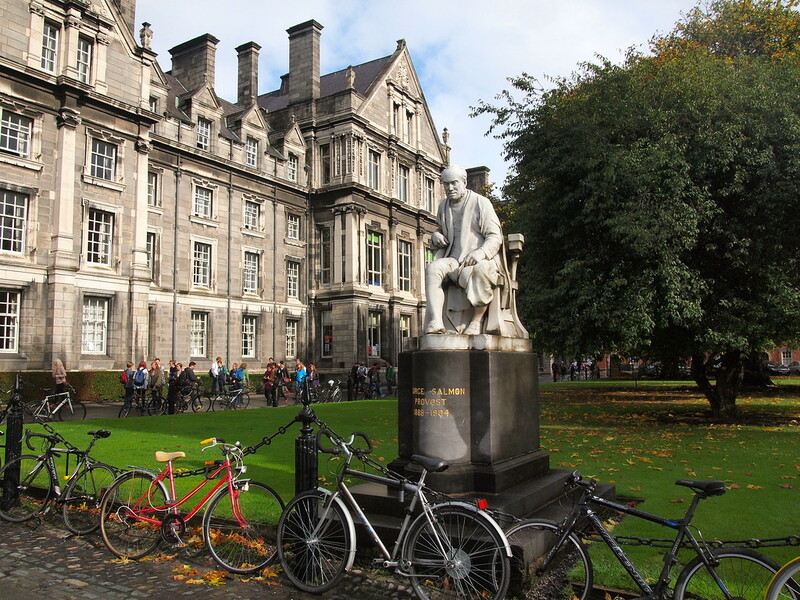 Dublin is a fascinating city, with tons of history sitting right alongside modern buildings and a university atmosphere. Even though this is a road trip itinerary, I actually suggest that you DON'T pick up your rental car until Day 3 of this trip, right before you leave Dublin. You don't really need a car in order to get around Dublin, and waiting to get your rental will save you some money AND the stress of driving and trying to find parking in Dublin city. When you arrive, you can hop on the Airlink bus (€6 per adult) to get from Dublin Airport to the city center. From there, you can actually walk to many places, use the Dublin Bus, or use ride share companies like Hailo or Uber. When traveling with my family in a new big city, I always look into getting tickets for a hop-on hop-off bus, which can act as both city tour and transport. In Dublin, definitely go for the green DoDublin hop-on hop-off bus. This is the original bus tour company in Dublin, and all their buses have guides onboard doing live commentary. If you arrive in Dublin early enough, you might want to do a loop on the bus to get a feel for the city, and for what you might want to check out in more detail on Day 2. You'll probably be jetlagged after an overnight flight, so plan for an early night tonight. 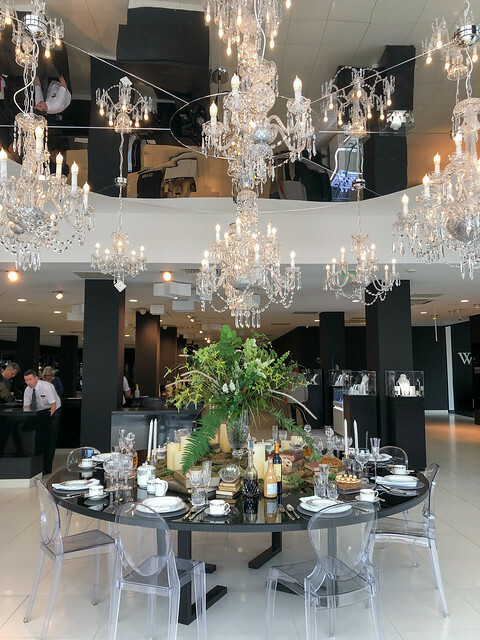 If you're looking for an interesting place to have dinner, consider checking out The Church near the Jervis Shopping Center, or The Bank on College Green. Both are converted restaurants (one in an old church, one in an old bank), and serve classic Irish food in a cool pub atmosphere. Guinness Storehouse – It's more than just a brewery. The Guinness Storehouse experience is part brewery tour and part museum, ending with a pint at a rooftop bar overlooking Dublin. The Guinness Storehouse is said to be the top tourist attraction in all of Ireland, and it's fun and interesting whether or not you like Guinness (though, note that my beer-loving friends all say that the Guinness in Ireland tastes WAY better than the Guinness we get in the US!). Book your ticket here. 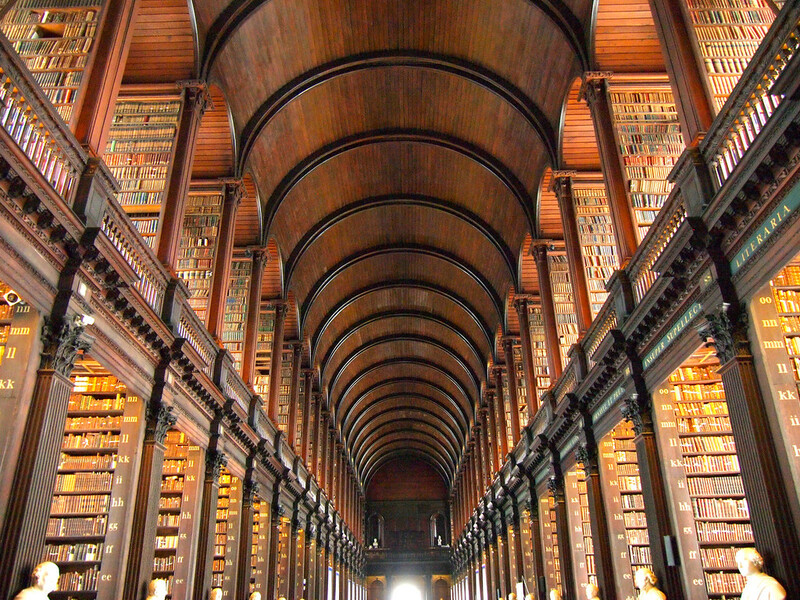 Trinity College / The Book of Kells – My favorite place to visit in Dublin is probably the Old Library at Trinity College, where you can find the famous Book of Kells, as well as the Long Room, which is basically any book lovers' dream library. The Book of Kells exhibit is really interesting, and it's also fun to get a glimpse into Trinity College, which is the oldest university in Ireland. Christ Church or St Patrick's Cathedral – Dublin's grand churches are worth checking out, too. St. Patrick's Cathedral, the National Cathedral of the Church of Ireland, was founded in 1191 and is both the largest and tallest church in the country. Christ Church is even older, and is connected to Dublinia, a museum with exhibits on both Viking Dublin and Medieval Dublin. Immigration history – Many Americans have Irish ancestry due to the large waves of emigration from Ireland in the 1800s. If you're interested in this part of Ireland's history, there are two really good places to visit in Dublin. The first is the Jeanie Johnston Tall Ship and Famine Museum, which is a replica of an original ship that made 16 journeys from Ireland to North America between 1847 and 1855. The other is EPIC The Irish Emigration Museum, which covers the history of the Irish diaspora. Temple Bar – Lastly, no trip to Dublin would be complete without a visit to the city's famous (and touristy) Temple Bar pub district. 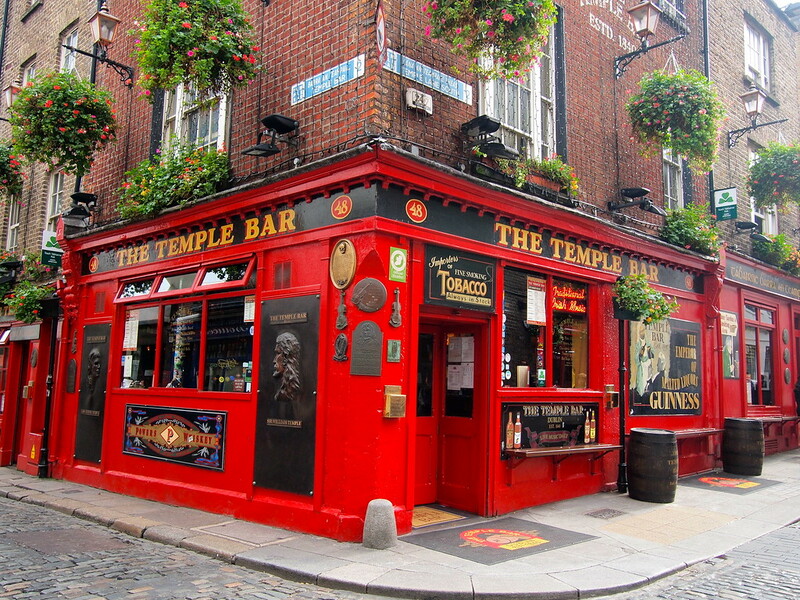 There are plenty of other (better) places to go out for a pint, but most first-time visitors to Dublin want to see the famous red pub in Temple Bar, and that's totally okay! 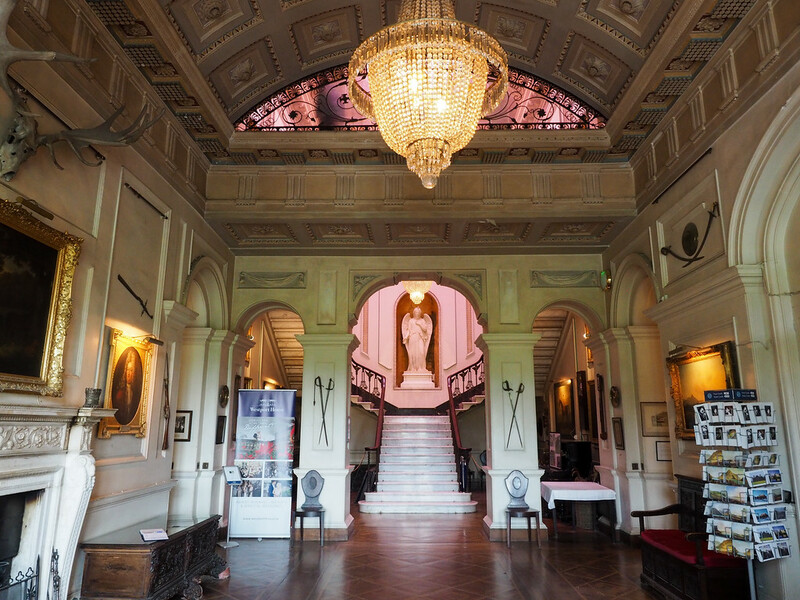 NOTE: If you plan to do a lot of sightseeing in Dublin, I recommend picking up a Dublin Pass, which will get you admission to several of the city's top attractions, as well as a pass for the hop-on hop-off bus. Where to stay in Dublin: Again, I recommend the Holiday Inn Express Dublin City Centre, which is very central and walkable to a lot of the things listed here. Like I mentioned above, I recommend renting your car beginning on Day 3. Pick up your car this morning (you can save more money by picking up in Dublin city rather than at the airport if your rental company allows it), and get ready to head south! Your destination today will be the Viking city of Waterford, but you'll drive through a bit of Ireland's Ancient East on the way. I recommend making a stop in County Wicklow in the late morning, where you can enjoy Wicklow Mountains National Park. 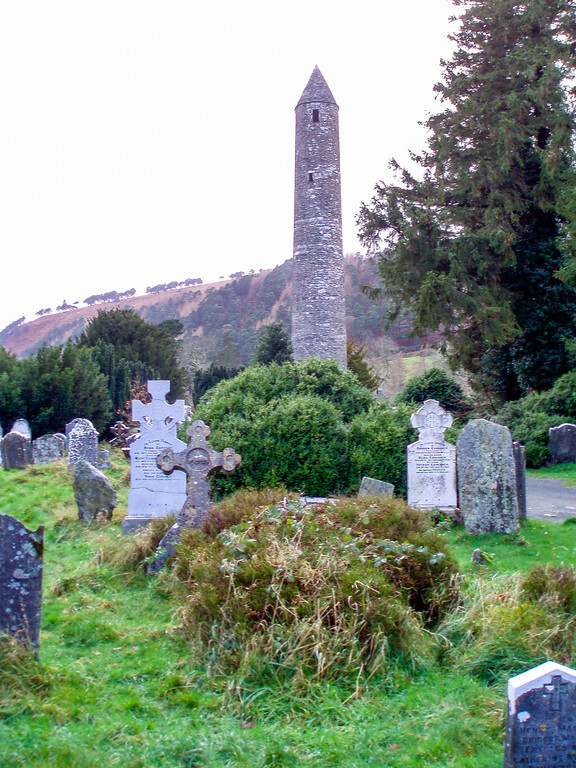 My favorite site in this area is the ruins of a 6th century monastic settlement at Glendalough. It's beautiful, historic, and definitely worth a stop. You can stretch your legs a bit and visit one of the two lakes that the valley is named after, too. Afterwards, continue on to Waterford. This is actually the oldest city in Ireland, and one of the only ones that still retains its original Viking name (in Old Norse, it's Veðrafjǫrðr). If you arrive early enough, be sure to head to the city center to see Reginald's Tower and the waterfront. Where to stay in Waterford: We stayed at the Waterford Viking Hotel, which isn't super central but does have a restaurant and bar on-site. If you want to stay somewhere more central, the Granville Hotel is the top-rated hotel in Waterford. 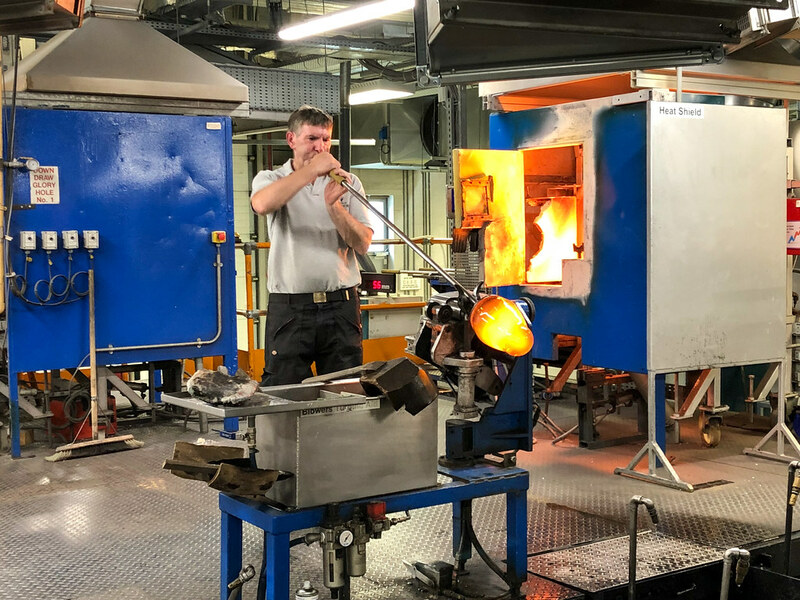 Start your morning with a tour of the House of Waterford Crystal Factory, where the world-famous Waterford Crystal is still made. Even if you don't think you care much about crystal, I guarantee this tour will impress you. 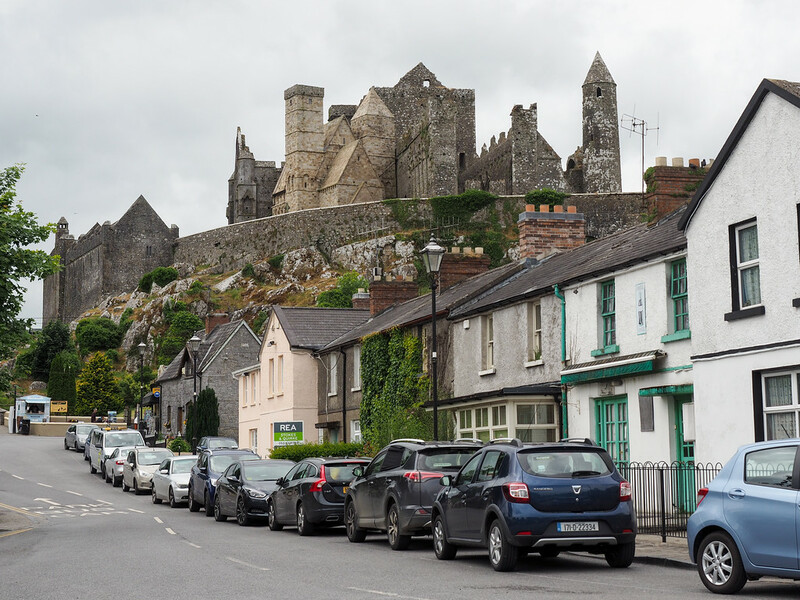 From Waterford, make a slight detour to the northwest in order to visit one of my favorite sites in Ireland: the Rock of Cashel. Located in County Tipperary, the Rock of Cashel is a hilltop complex that might be one of the more photogenic places I've visited in Ireland. 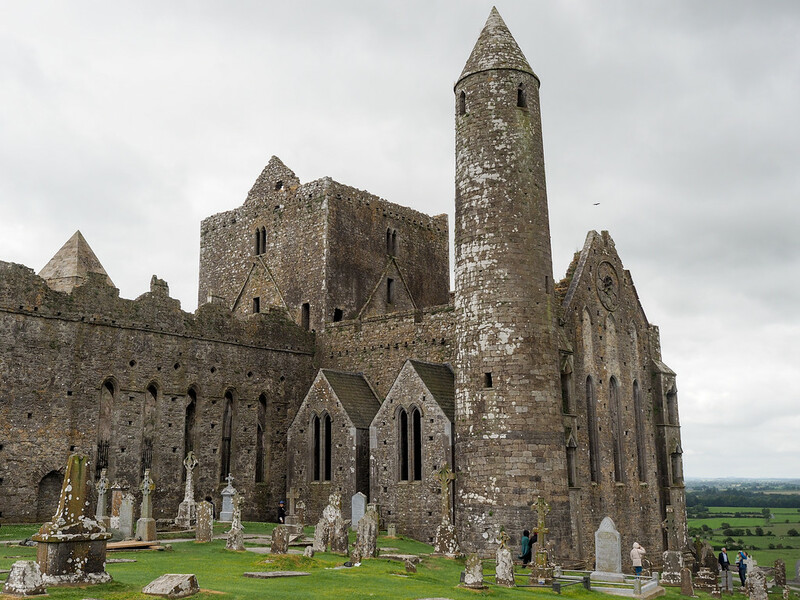 The Rock of Cashel – also called St. Patrick's Rock – was the seat of the Kings of Munster until it was eventually handed over to the church after the Norman invasion. Today, the site consists of mostly ruins – but the ruins are super impressive. I recommend going on one of the free guided tours here; they're offered several times per day. Just note that parking during the summer months in the dedicated lot can take some patience – but I promise it's worth it! 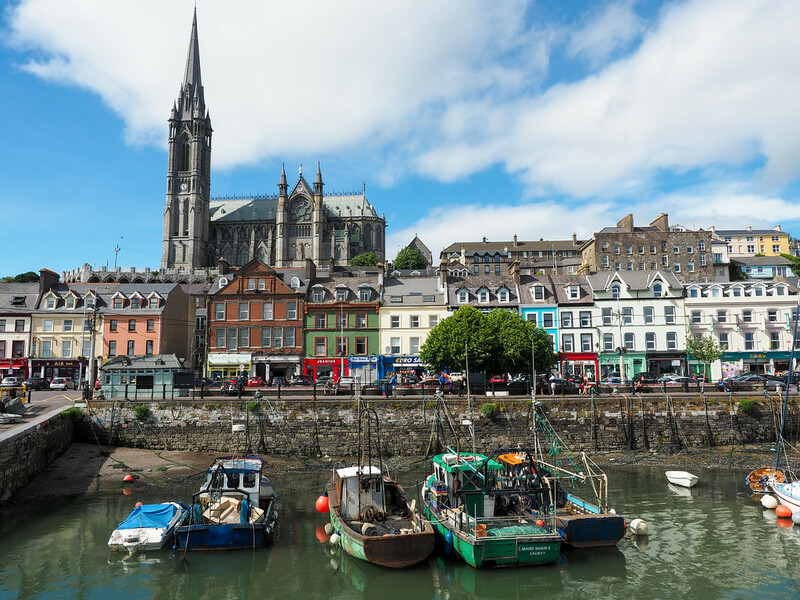 From the Rock of Cashel, make your way south to the seaside town of Cobh, which is my new favorite town in Ireland. If you're visiting in summer, you should have plenty of daylight left when you arrive to walk down to the colorful harbor for dinner. Before you leave Cobh, I encourage you to spend the morning getting to know more of the town's history. Definitely make time to visit the impressive St. Colman's Cathedral, and I also recommend going to the Titanic Experience. Cobh was the final port the Titanic stopped in before making its fateful way across the Atlantic (back then, the town was called Queenstown). The small Titanic Experience museum (which is housed in the former White Star Line Ticket Office) is very well done, and tells the story of the Titanic and the 123 passengers who boarded the ship in Cobh. 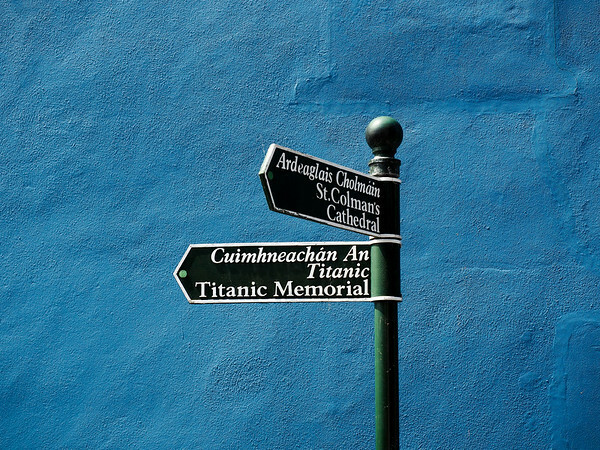 You can also book a historical Titanic walking tour of Cobh if you have enough time, which also covers the town's history. Cobh is also ridiculously pretty! 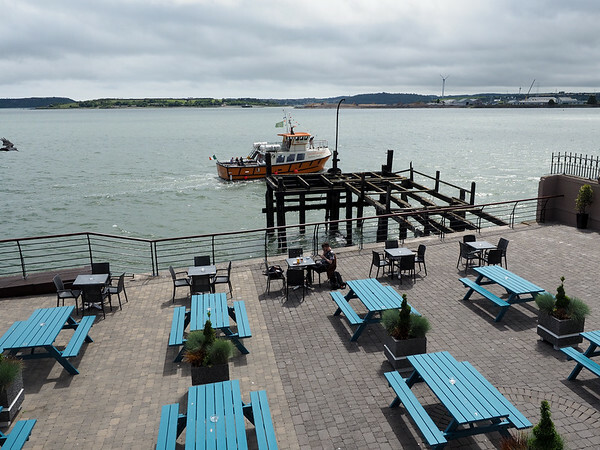 From Cobh, you have a couple choices when it comes to making an afternoon stop. 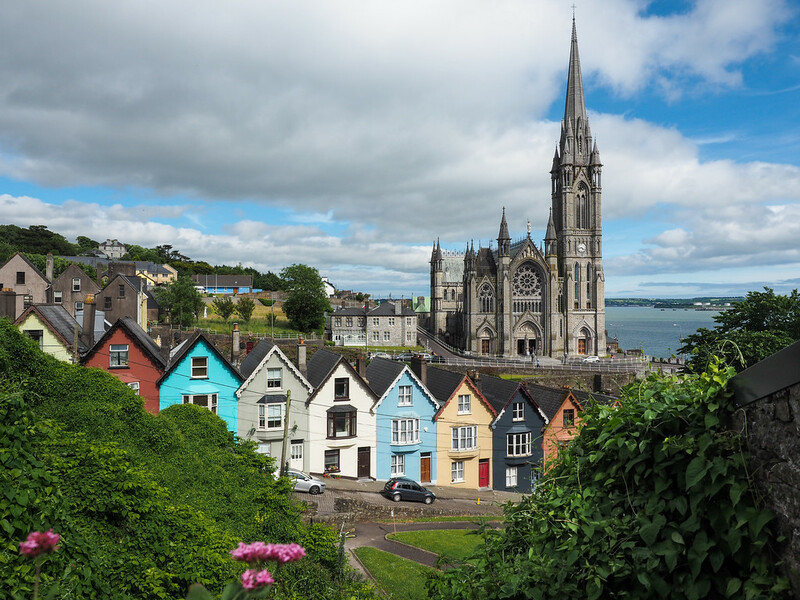 Cobh is very close to the city of Cork, which is a pretty cool city. BUT, if kissing the Blarney Stone is on your bucket list, then I recommend making your stop at Blarney Castle (actually, I probably recommend this anyway, as Blarney Castle is really cool!). 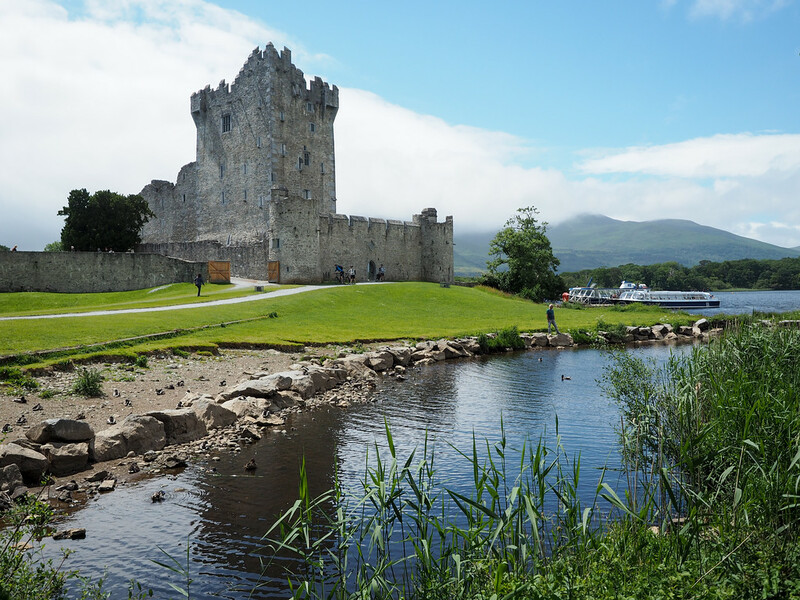 Along with kissing the Blarney Stone in order to be granted the Gift of Gab, you should also be sure to explore the castle grounds and gardens – especially the gardens, which are varied and pretty extensive. 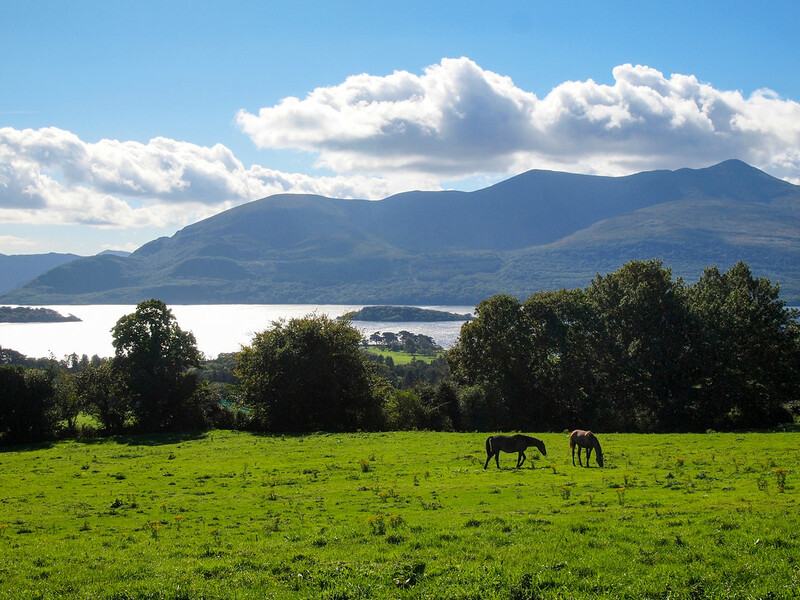 From Blarney, make your way to Killarney, where you'll spend the night. 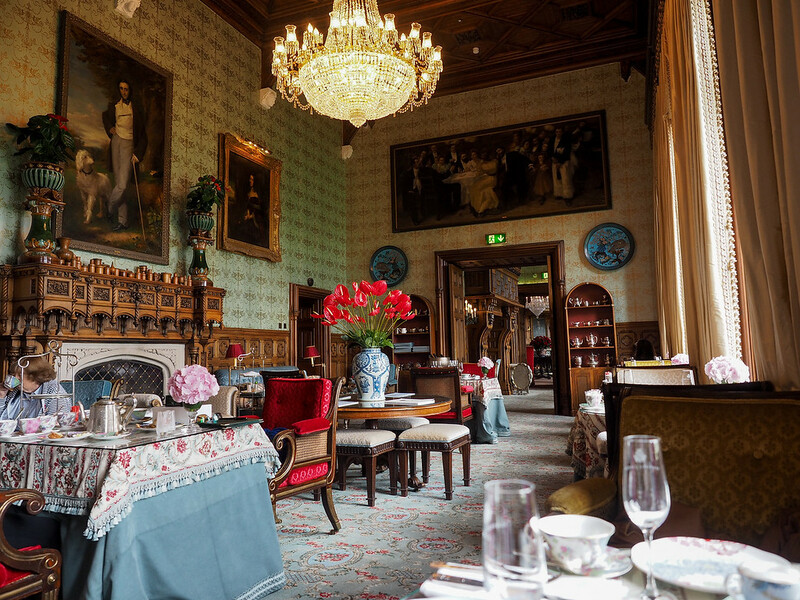 Where to stay in Killarney: If you're up for a splurge, the 5-star Killarney Park Hotel is often named as the best hotel in Ireland. Otherwise, I'd probably go with the McSweeney Arms Hotel, which is in the center of town. Which one you choose might depends on a few factors, including the weather forecast and what your interests are. In our case, the weather forecast had a bit of rain in it, and neither my mom or sister really liked the idea of a long day of driving since they both tend to fall asleep in the car. So we opted to explore Killarney National Park a bit, which included a tour of Ross Castle and a visit to Muckross House and its gardens. The Ring of Kerry is one of the most famous driving routes in Ireland – which means it's beautiful, but can also get crowded/congested. If you choose to drive this one, take a clockwise route from Killarney so you're going in the opposite direction as all the big tour buses. If you're up for a more adventurous road trip, I recommend the Dingle Peninsula, including the narrow-yet-spectacular Slea Head Drive. You can definitely do this drive in a day, with photo stops along the way. 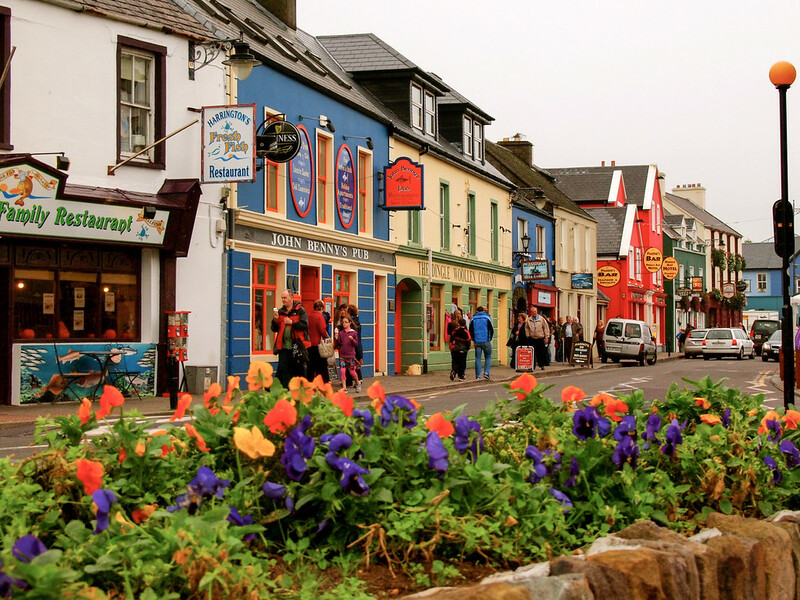 Be sure to allow for some time in the town of Dingle, too, which is cute and colorful. 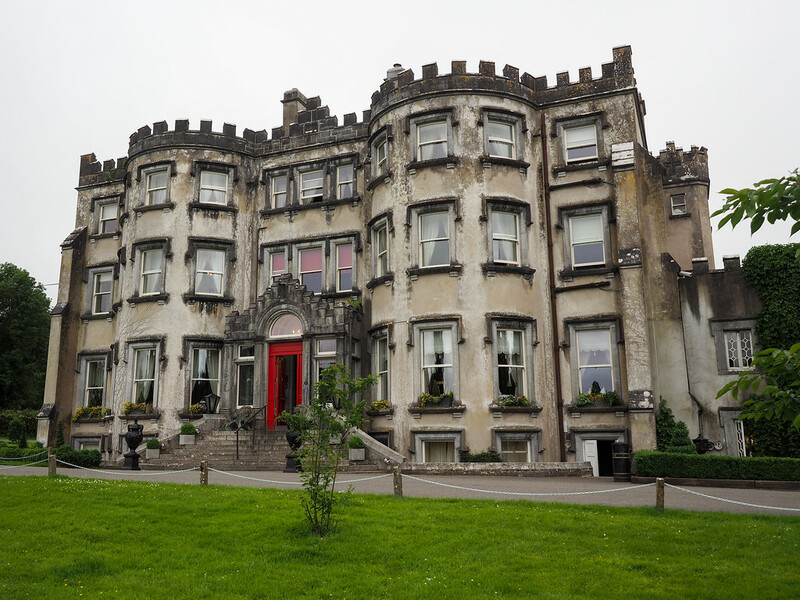 After your day of exploring, reward yourself tonight with a stay in a real Irish castle! My pick is Ballyseede Castle in Tralee, which is a cozy castle hotel that won't break your budget. Total driving time: It depends! Prepare to be in and out of your car all day. 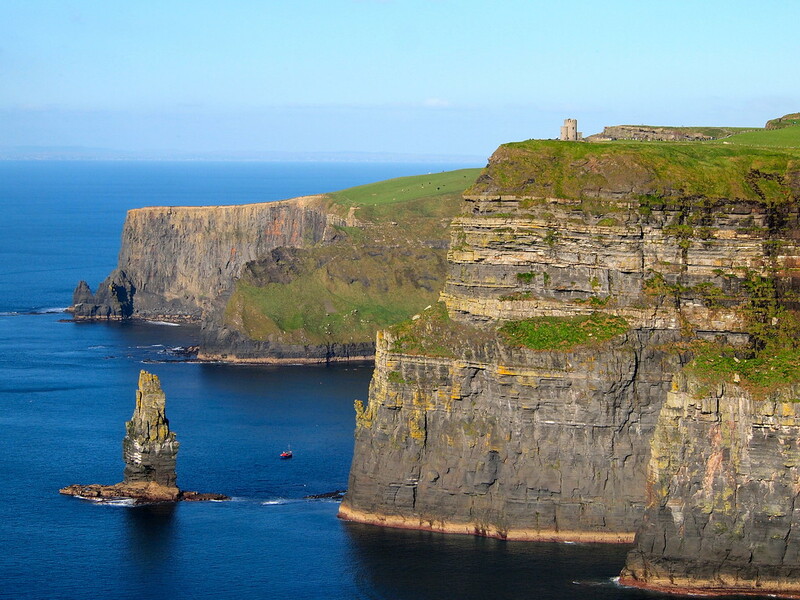 You probably won't be in too much of a rush to leave the lovely Ballyseede Castle, but that's fine since there's only one thing on the itinerary today: the famous Cliffs of Moher! From Tralee, it's a good two and a half hours to the Cliffs, so you'll probably want to plan to visit in the afternoon. And visit you should, even if it's raining! The Cliffs are impressive in any weather – just be sure to pack a good raincoat! The visitor's center at the Cliffs of Moher has a few interesting and interactive exhibits, too, so be sure to have a look. If you have some extra time (and hit good weather), you could also take a cruise along the bottom of the Cliffs from Doolin. 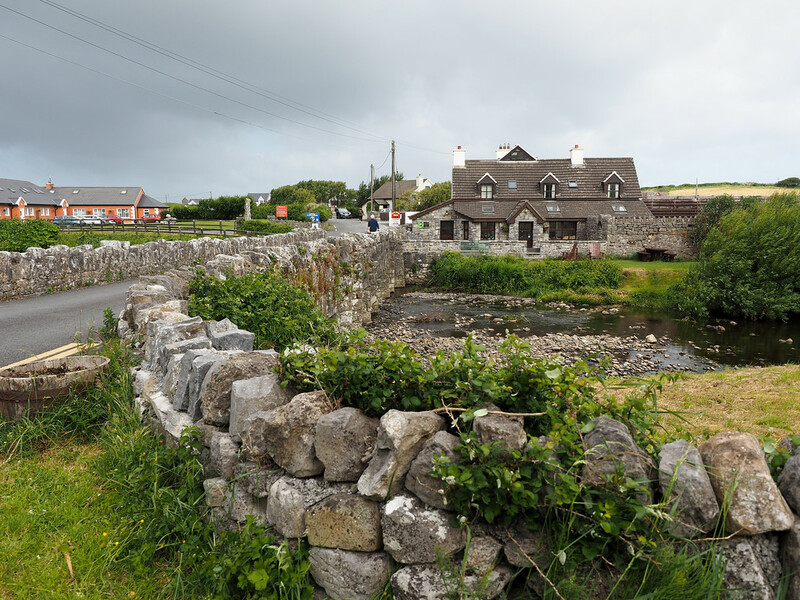 Where to stay: I recommend staying in the little village of Doolin, which has a couple of pubs and a handful of B&Bs. Ireland does B&Bs so well, so I would take advantage! We stayed at Cois na Habhann, which is just a tiny 3-room B&B with lovely owners and a very good Irish breakfast in the morning. My family had a personal reason for wanting to visit the city of Westport in County Mayo: my mom's grandfather emigrated to the US from this part of Ireland in the 1800s. But, even if you don't have family ties to County Mayo, I still think it deserves a spot on your Ireland road trip! On your way north from Doolin, I highly recommend making a stop at the luxurious Ashford Castle. 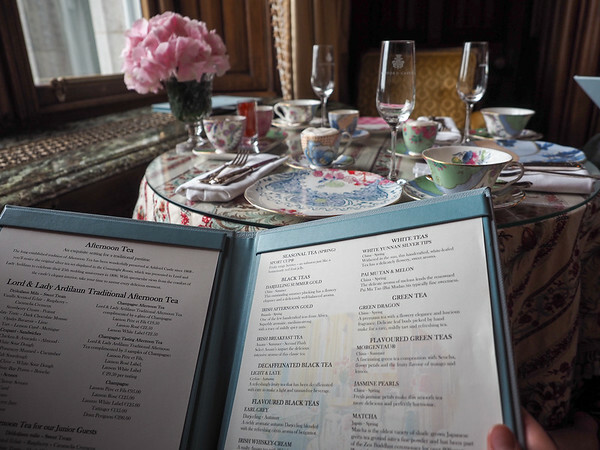 This fancy and imposing castle hotel was far outside our budget for staying overnight, so instead we booked afternoon tea in the castle's Connaught Room, and arrived early in order to spend some time exploring the castle's extensive gardens. 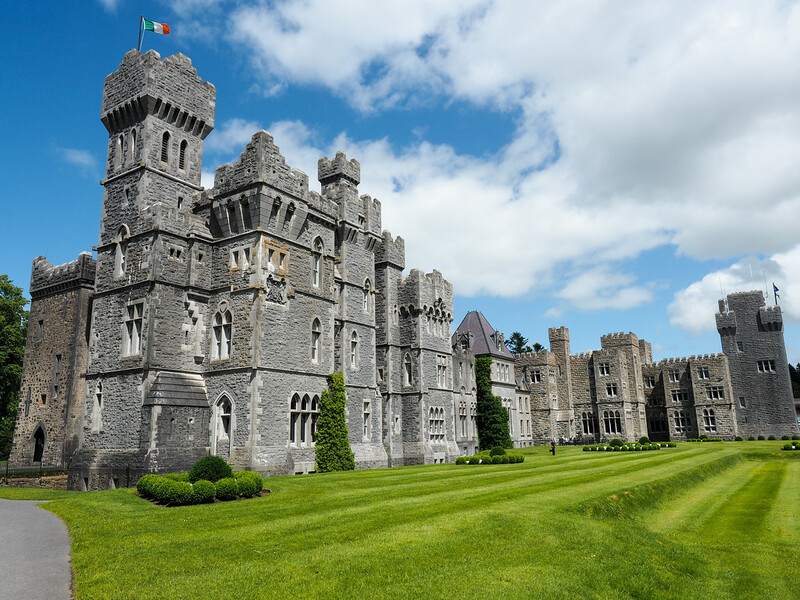 From Ashford Castle, head to Westport, the largest town in County Mayo. I really like Westport for its location near the coast and Georgian town centre. Woodside Lodge and liked it. If you wanted to stay in the center of Westport, I'd look at The Wyatt Hotel, which is a cute boutique hotel right downtown. There's actually quite a bit to do in/around Westport, from climbing Croagh Patrick to cycling the Great Western Greenway, to exploring the islands in Clew Bay. Or, you can do what my mom, sister and I did and stick to indoor attractions instead. We were met with a rainy day in Westport, and so decided to spend a couple hours exploring Westport House. 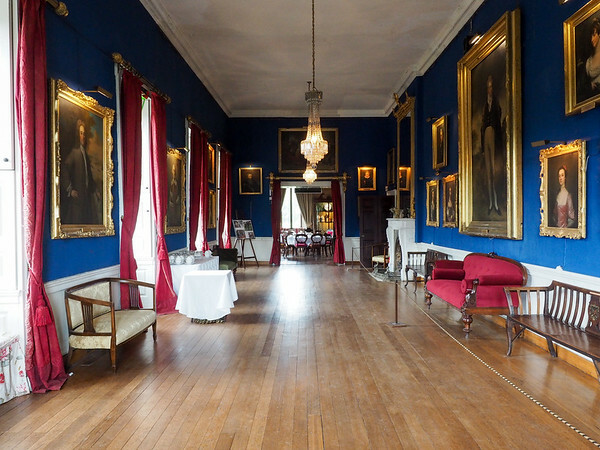 Westport House is an 18th century historic home that is one of the last privately-owned stately homes in Ireland. The coolest thing about it though? It was built (and is still owned) by the Browne family, who are descendants of Grace O'Malley, Ireland's famous Pirate Queen. 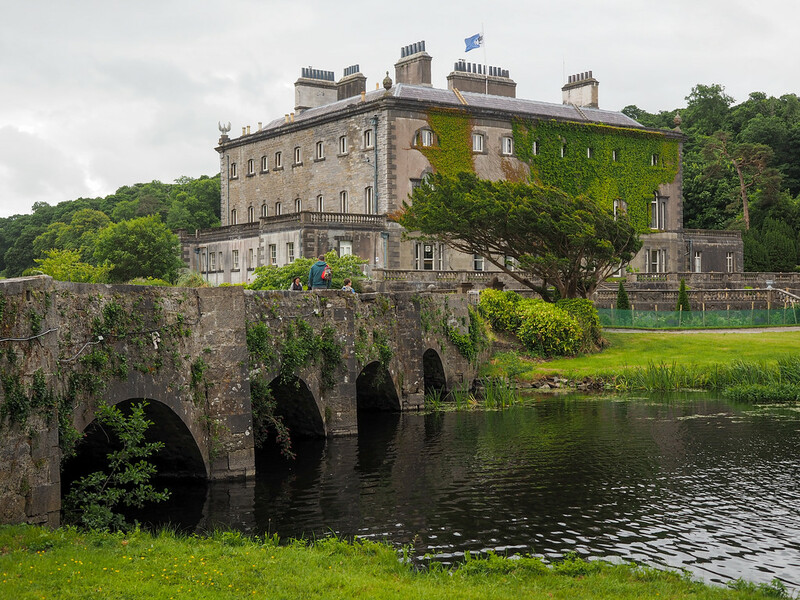 The current Westport House is actually built atop the foundations of one of Grace O'Malley's former castles, and you can still visit the 16th century dungeons in the basement. The women in my family love touring historical homes, so this was perfect for us. There are also some amusement park-type rides on the ground of Westport House, making this a popular destination for families and school groups. Once you've had your fill of Westport, it's time to head to Galway! Galway is known as the cultural capital of Ireland, and it's one of my favorite cities in the country. Head into the heart of the city this afternoon/evening. The pedestrian-friendly Shop Street is a great place to shop and see some buskers performing, and you'll also find tons of pubs with live Irish music in this part of town. 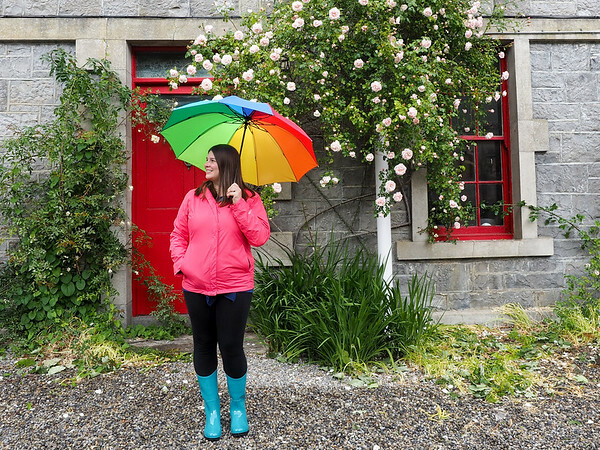 Where to stay in Galway: We stayed outside of the center at Flannery's Hotel, and just hopped on the bus to the city center (waaaay less stressful than trying to park in central Galway!). If you want to stay downtown, though, Park House Hotel is very central and highly-rated. You have a choice again on Day 10, depending on your interests and the weather. 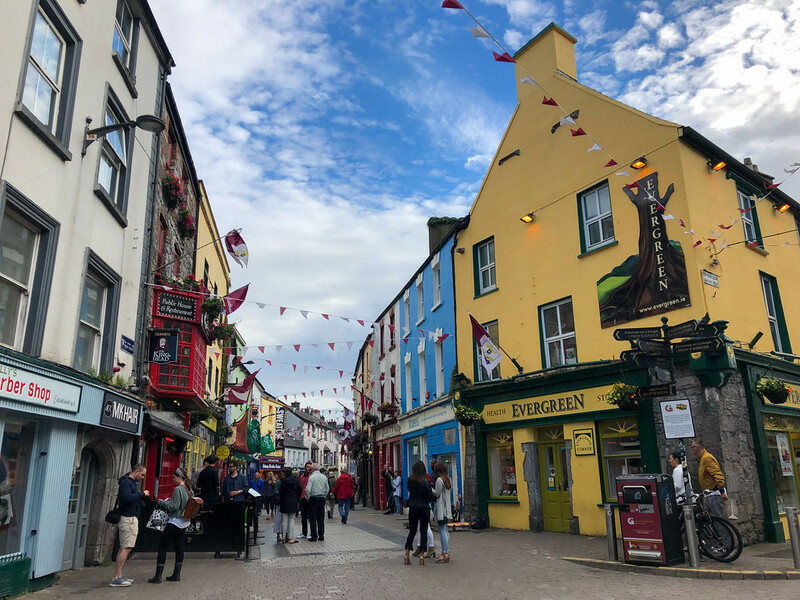 You could definitely spend the day exploring Galway (you could visit the free Galway City Museum, go shopping, see the Galway Cathedral, or even go on a Galway food tour), OR you could take a day trip out to the Aran Islands. 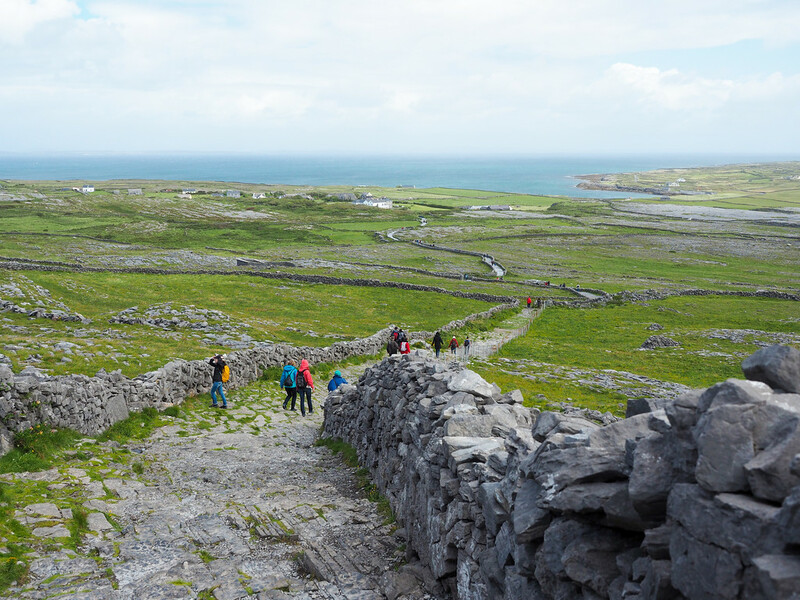 If you want to get a taste of old, traditional Ireland, then the Aran Islands are the place you want to visit. 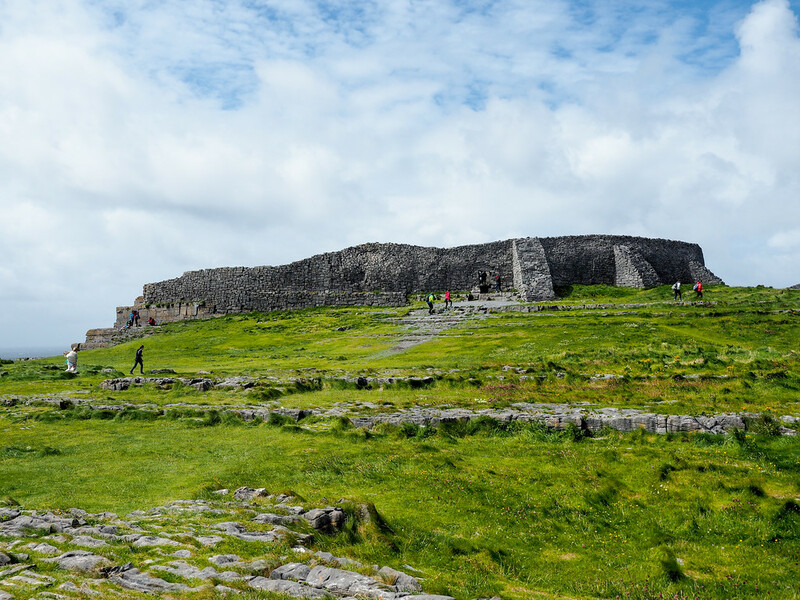 Inis Mor feels worlds away from the Irish mainland, and makes for a great day trip. You can rent a bike to explore the island (or grab a seat on a shuttle), and can expect to see ruins of an Iron Age fort, sea cliffs, and miles and miles of stone fences. The easiest way to get to Inis Mor is by taking a ferry from Ros a' Mhíl/Rossaveal, which is located about 50 minutes from Galway. You can either drive yourself to Rossaveal, or take advantage of the shuttle bus that leaves from central Galway about 1.5 hours before sailing in the morning. 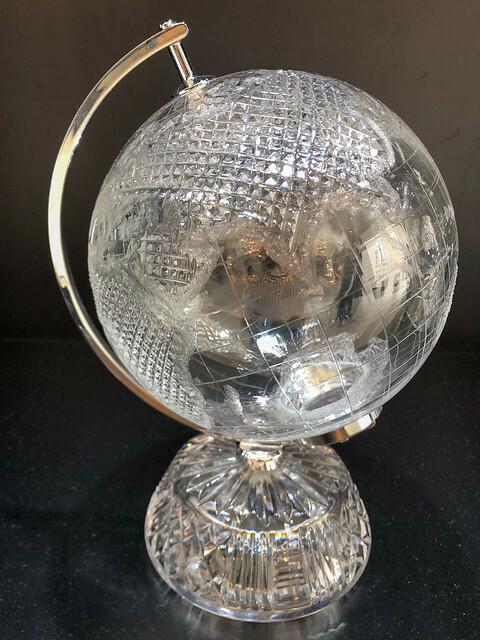 Where to stay in Galway: Again, I recommend Flannery's Hotel if you want to stay out of the city center, or the Park House Hotel if you want to be in the middle of the action. Your Ireland road trip adventure comes to an end today. You could opt to fly out of Shannon Airport (1.25 hours from Galway), or return to Dublin (2.5 hours from Galway) today, depending on your onward travel plans. Many airlines make it easy for you to book an “open” ticket, allowing you to fly in/out of different airports. One thing is for certain, though: you probably won't be ready to leave Ireland! Further north from Westport lies County Donegal, an Irish county that sits alongside Northern Ireland. Not many tourists venture to Donegal, but there are some very cool things to see here, including the Slieve League cliffs, the sixth-highest sea cliffs in Europe. 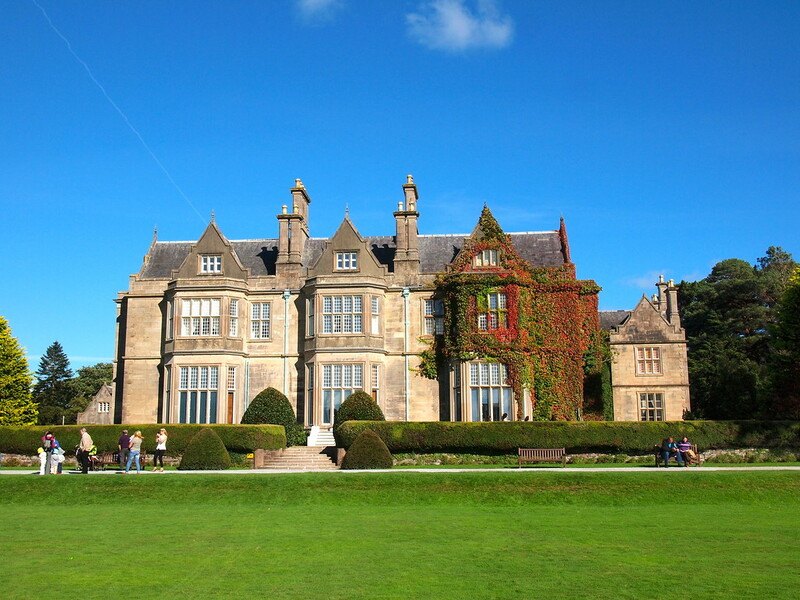 You can also find castles, stone circles, and Glenveagh National Park here. While I really wanted to add Northern Ireland to our Ireland road trip, the truth is that you can't really zip through this part of the island in just a day or two; you need at least a few days to appreciate all the highlights! Belfast – Northern Ireland's capital deserves at least a day or two. Take a black taxi tour to learn about “The Troubles” in Northern Ireland, and visit the Titanic Belfast museum at the shipyard where the Titanic was built. Londonderry/Derry – In modern times, Derry is known for being the starting point of “The Troubles” in Northern Ireland, but the city is also historically significant for being the only walled city in Ireland with its walls still intact. Here, take a walking tour to learn about Bloody Sunday and the Troubles, or take a guided walk of the city walls. Causeway Coast – The most famous part of Northern Ireland these days is Giant's Causeway and the Causeway Coast, which are indeed amazing! 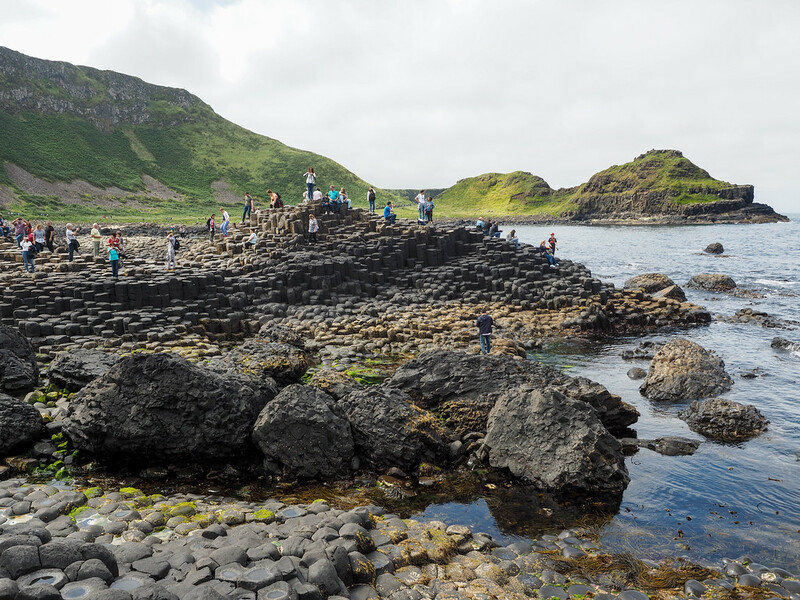 I recommend driving the route yourself and visiting Giant's Causeway at your own pace, OR you can take a Game of Thrones-themed tour from Belfast that will also include a stop at Giant's Causeway. Carefully consider the car you rent – You want something that's large enough for the number of people in your party, but not *too* big because Ireland has some seriously narrow roads (and not just the side roads, either!). I wanted a nice small little compact, but with three people and three suitcases, we ended up with a station wagon (or estate car for you Europeans) – it definitely made for some nerve-wracking moments when having to pass buses! Get the car insurance – Just do it; you never know what might happen, especially on these Irish roads. And be aware that if you usually rely on your credit card for rental car insurance, that insurance may not be valid in Ireland – be sure to check before you leave home! Take it slow – If you've never driven on the left side of the road while sitting on the right side of the car, prepare for it to take you a little while to get used to it. (I still was awful at parking my rental car after a whole week in Ireland!) The good news is that Irish drivers are generally really nice, which helps slightly with the stress levels. It's worth it to get a GPS – Those tiny Irish roads aren't the easiest to navigate, and I know I would have been lost without our GPS. It's definitely worth it to spend the extra money on a GPS. Compare prices on rental cars in Ireland here. Pick up an Ireland travel guide before you go. Who's ready to plan an Ireland road trip now? Any other stops you'd add? Well hopefully this will give you lots of ideas, then! It can be tricky to plan a family trip, but the good news is that there’s such a variety of things to see and do in Ireland, you should be able to find things to suit everyone. As for when to go… the busiest months are July and August. We went in mid-June to try and hit nicer summer weather. I think May, June, and September are actually good months to go! Wow.. this is one of the best itinerary i’ve never seen.. would recommend this for my clients. It’s funny that you say that, because I’m exactly the same way! I love Ireland, but there’s no denying that I love Scotland even more! Beautiful landscapes! I am definitely going to plan a vacation to Ireland. You certainly should! It’s a great country to travel in. Hi Amanda! I love this! I just added it to my Flipboard Travel Inspiration magazine and re-tweeted it. 🙂 You’re not going to believe this but I went to Blarney Castle and actually SKIPPED kissing the stone. I know. But the line was soooo long. Actually, I enjoyed the gardens so much, I’d go back just to experience them again. I’d add one more item to your awesome itinerary — save part of the budget for a fresh seafood meal! I wasn’t expecting such great oysters and more! Thanks for this write-up and beautiful photos! I’m sure there are plenty of others who haven’t kissed the stone! (After all, plenty of people think it’s really gross!). And YES, you are so right about the seafood in Ireland – I had delicious Irish mussels a few times! 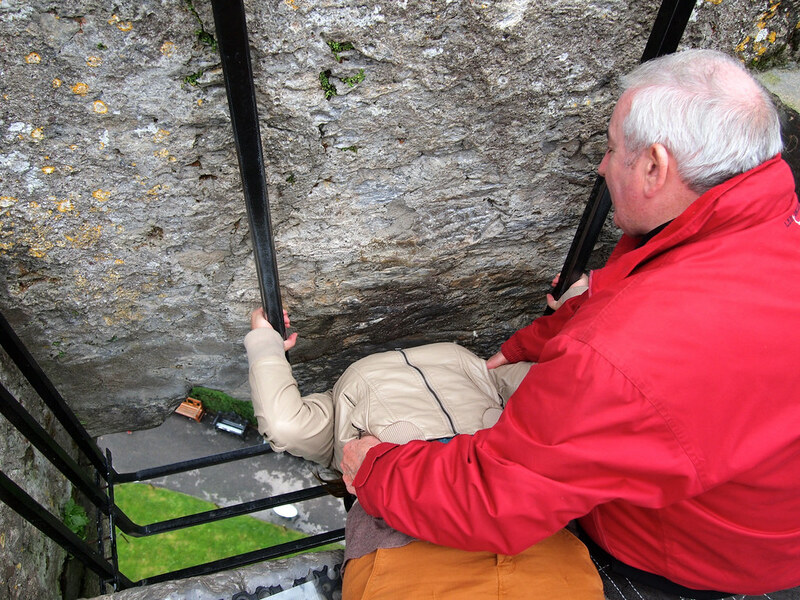 I also skipped seeing the Blarney Stone for the same reason–long line! Having a few tour buses (ours among them) arriving at the entrance before opening time didn’t help matters. While my tour group was in Galway, I saw this neat excavation site during my exploration of downtown Galway. It dated to medieval times, it had been the site of someone’s house and business. Yeah, it’s tough to really enjoy some of these sites when there are tons of tour buses around! As for the ruins, that’s pretty common in Ireland – many of the cities were settled a long time ago by the Vikings! Yay this is one of my dream trips too! Thanks for the information! Happy to provide some inspiration and info that will hopefully help others plan a similar trip! What a fantastic trip! We’ve not yet visited Ireland but you can be sure we will reference this itinerary when we do. 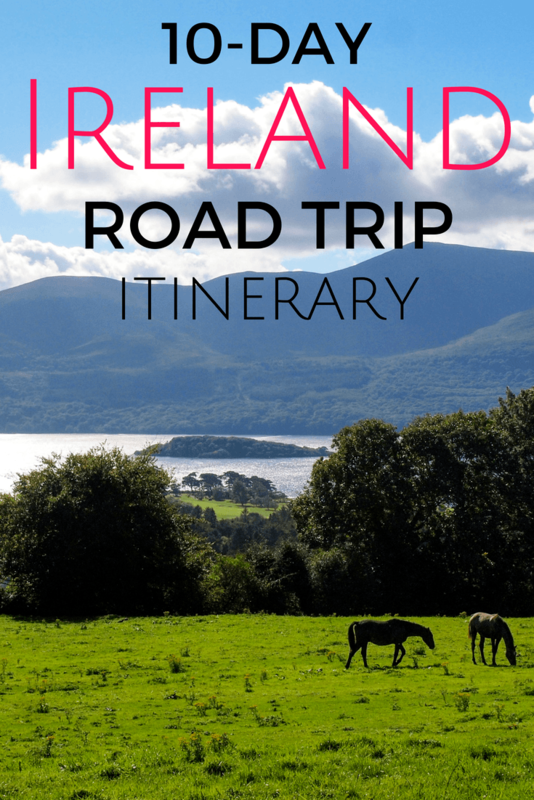 Awesome – Ireland is a great destination, whether you do a road trip or not! This is awesome! 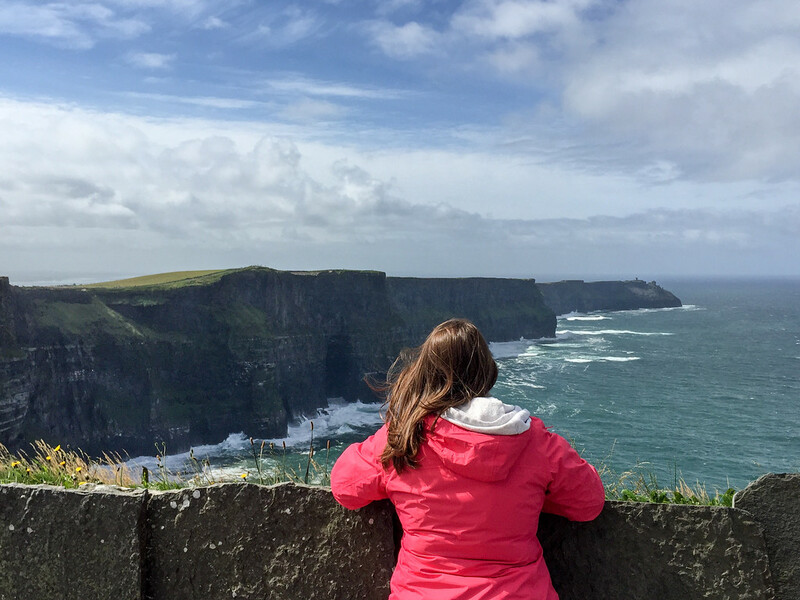 We went to Ireland for 10 days in April and I posted our itinerary on my site too. I really love how your itinerary is so full of useful tips and great info. For our 10 days, we did Dublin, Belfast, Galway and Cork. 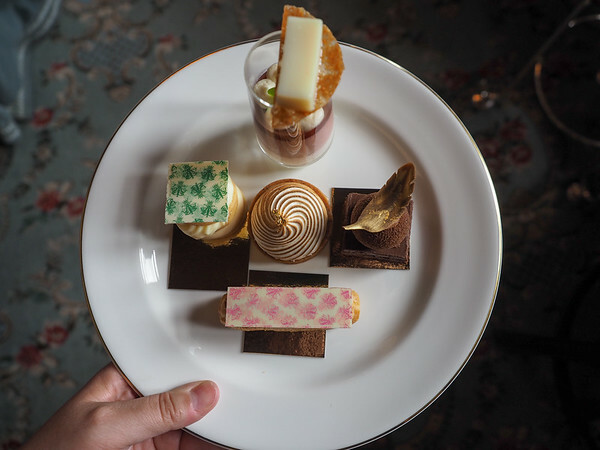 I’d definitely recommend Cork – great city and awesome food! I’m sad we missed out on Cobh though as it looks so gorgeous! Guess we’ll have to hit it next time! Your trip looked incredible! The photographs you’ve taken on your trip are great! I’ve never been to Ireland but I have Ireland ancestry too, so this itinerary/guide will be great for when I finally organise the trip to go 🙂 I’ve recent’y been to Paris for a city break so going somewhere closer to home will be a great trip for me and the family! Ireland is truly fairy tale perfect. So many of these locations look right out of a fantasy movie. Agreed! It’s a beautiful country. Need to get myself over to Ireland again! This looks like a wonderful trip! I’ve spent a lot of time in Ireland, but have never managed to make it to the Blarney castle, stone and gardens! I suppose that’s just one reason to return. I like your recommendation to take it slow and enjoy the ride. I’ve found Ireland runs at a slower pace, which is lovely and something I try to adopt during my trips. I highly recommend a trip to Carrick-a-Rede, but know it’s a little tough to get there. The views, myths and geometric rocks make it worth extra time in the car. Thank you for sharing all of your tips, ideas and recommendations. I’ll be sure to incorporate some of them when I return to Ireland in May 2019! Yay! Yes, taking it slow is definitely a must in Ireland! 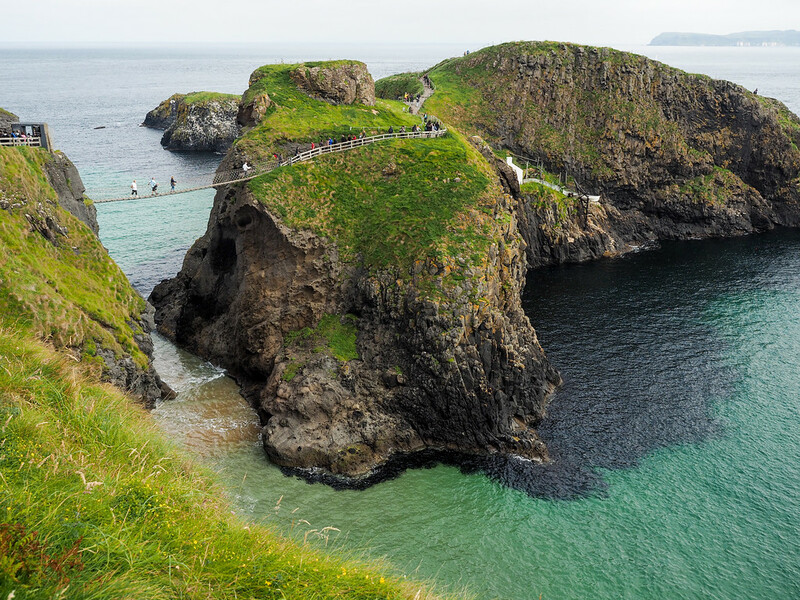 I agree that Carrick-a-Rede and the whole Causeway Coast is great – but if you only have 10 days, it’s really hard to fit in both Ireland AND Northern Ireland without really rushing it! This itinerary looks amazing. We are lucky to be able to have 21 days in Ireland. We would like to use your itinerary plus add to this with the extra time. Can you advise on this? If you have more time, I would definitely just add days in many of these places; you could add a day or two in Dublin; maybe tack on some time in Cork; spend more time in Killarney and do both the Ring of Kerry AND Dingle Peninsula; spend more time in Galway; definitely go out to the Aran Islands; consider going further up north to Donegal; and dedicate some time to Northern Ireland! I’m curious whether you know that the Northern Ireland – Ireland border crossing could cause any problems when renting a car. Did you do any road trip on your own while crossing the border? As it stands right now, there’s no issue taking a rental car into Northern Ireland – in fact there’s no “hard” border at present. This could change with Brexit, but even then I don’t think it will affect car rentals, as you can take most of them anywhere in Europe! Hi! Do you think if you didn’t spend as much time in Dublin or shaved off a day at another destination you could squeeze in the Ring of Kerry and Dingle Penninsula? I’d rather rspend more time in the country rather than big cities. You could cut out a day in Dublin, or just add an extra day to make time to do another of those drives! Dublin is really the only “big city” on this itinerary; Galway is still a large city, but the center feels like a much smaller town. Great itinerary for us to check out. Is there any way to convert this to a printable format? Hey Deborah! I don’t currently have any PDF versions of my itineraries, but it’s on my to-do list to set up in the next couple of months!